One bike, two riders, one mission! Go fast! This is the shortest course to the summit. You'll get to hit all the highlights of Spruce Mountain, like the 2-mile double-track downhill, Spruce Knob Lake, and of course the summit. 1-Day Bikepacking Race/Ride. *** GRUSK Grande Loco racers will depart at 8am on Friday, July 5th *** Must have lights to depart. 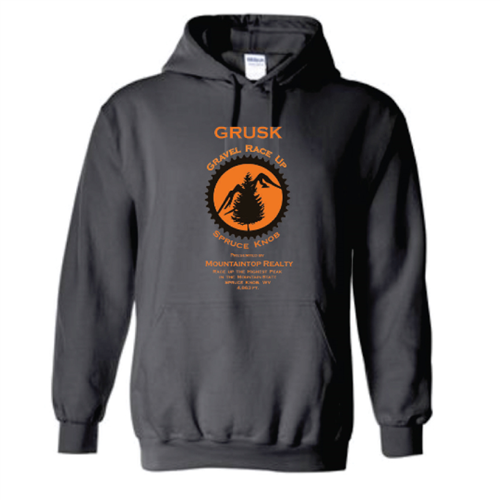 Purchase an extra t-shirt for family or friends. 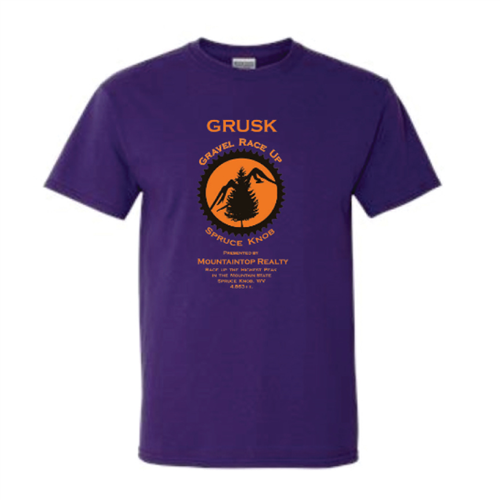 Extra t-shirts may be also available [+more] for sale after the race. Please ask our staff if you are interested. 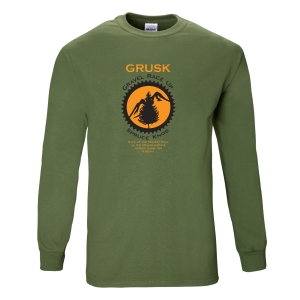 Long-sleeve Gildan T-shirt in olive green. Looks great, so pick one up. Choose which days you would like a dorm room reserved. Dorms are similar to hostels. [+more] There are two dorms, with 4 rooms each. 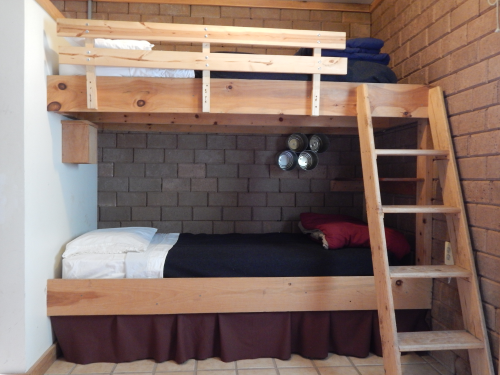 Each room can accommodate 5 people. Reserve an entire dorm room for $100 per night, We have two rooms available each night, but reserve them early, because they may disappear if we get enough individual reservations. Restroom/Bathhouse is a short walk from the dorms. Dorms are co-ed, but we can designate all-male or female rooms as needed. Camping fee covers both nights and is per person. If you are planning to have non-racers camping with you, please purchase for the number of folks camping with you, or you can pay at the gate. The venue as room for camper trailers or RVs, but there is no electric or septic hookups. Meals are available for pre-purchase only, and will close July 2 at midnight. Meals can be purchased individually, or as a 3-meal plan. Meals available: 7/5 - Dinner 7/6 - Breakfast 7/7 - Breakfast. If you have non-racing companions coming, please purchase the number of meals for your group. Please e-mail mountainrides@comcast.net with any dietary restrictions or to request a vegetarian option. Purchase a post-race dinner for your companions. It's a deal for $5.00. Donate to Experience Learning, Inc. Please consider making a tax-deductible donation to Experience Learning, Inc., which owns and operates the magical venue for GRUSK. Every dollar helps them out tremendously.